If you’re looking for a local, reliable and trusted plumbing company in your area then look no further than Diliberto Plumbing! We’ve been providing expert plumbing and heating services for over 35 years and we’re always on call 24/7 to take care of your plumbing needs. Let Diliberto give you peace of mind by installing a sump pump with a battery backup. If the power goes out, your sump pump will continue to work, even if you aren't home. Your sump pump comes equipped with a low battery monitor to let you know when to replace it, keeping your home safe. Tankless hot water heaters are less expensive to operate because they create hot water on demand, not storing gallons hot water in a tank that needs to be kept hot. Hot water is unlimited, no more running out of hot water when you need it most! An emergency with your drains can feel like a disaster, with water or sewage flooding your home. With over 31 years of experience, Diliberto Plumbing has the expertise to deal with blocked toilets, sinks or tubs and help your life get back to normal fast. Diliberto Plumbing can replace your old inefficient boiler with a new high efficiency gas boiler, saving you money on your heating bills. Call today to learn how you can save money this heating season. Serving Montgomery and Chester Counties for over 35 years! In addition to being highly skilled, extensively experienced and exceptionally trained, our technicians and plumbers at Diliberto Plumbing and Heating, Inc. are committed to delivering first-rate customer service while maintaining quality. Our customer service ethic was founded on the principles of honesty and integrity, and because of this dedication to our customers, we carry an A+ rating from the Better Business Bureau. Our customers are the most important aspect of the business, and we strive to show them how much they are appreciated. 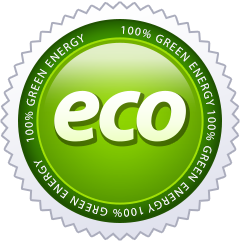 All of our plumbers are licensed, bonded, and insured, and we never use a subcontractor to complete our work. 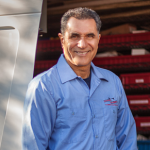 At Charles Diliberto Plumbing & Heating, Inc., we promise to serve our customers professionally and efficiently, while treating them as we would want to be treated. We will provide the greatest value possible, by offering the best service and uncompromising quality…every time. All of my family members who are located across Montgomery County have used the Charles Diliberto Plumbing service for many years for a variety of plumbing problems. He has responded to each call in a timely manner and quickly and efficiently has solved whatever plumbing issue we have had. His services are first rate. I highly recommend his work and that of his employees as well. I have never written an online review, however, I was so impressed with the service of Wanda, Colin and Joe , I had to acknowledge them and the entire Dilberto Team for service that far surpassed my expectations ( which isn't easy). After waiting over 2 weeks for another plumber to fix my toilet flange, I gave up a called Wanda at 8AM, Colin was onsite by noon to evaluate the problem and Joe had it fixed by 5PM. This type of service and customer commitment is hard to finds these days, so all I can say is WOW! Used our services before and want to share your experience? Go to our Submit Review page to share with other customers and prospective clients why Diliberto Plumbing is the best choice for first-rate plumbing and heating services. We strive for 100% customer satisfaction, and happy customers make for happy plumbers!